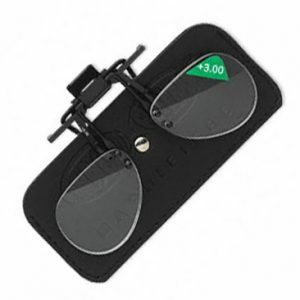 The magni-clips are magnifiers that clip onto the bridge of your glasses, they can be flipped up when not in use and put down over your glasses for close up work. 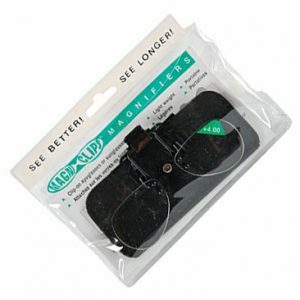 The magni-clips are light weight and rimless so as not to distract from your stitching. Excellent for all types of hand embroidery and close up work. If you do not know the magnification that you require I suggest trying out different reading glasses over your current glasses to find out the magnification that you require.